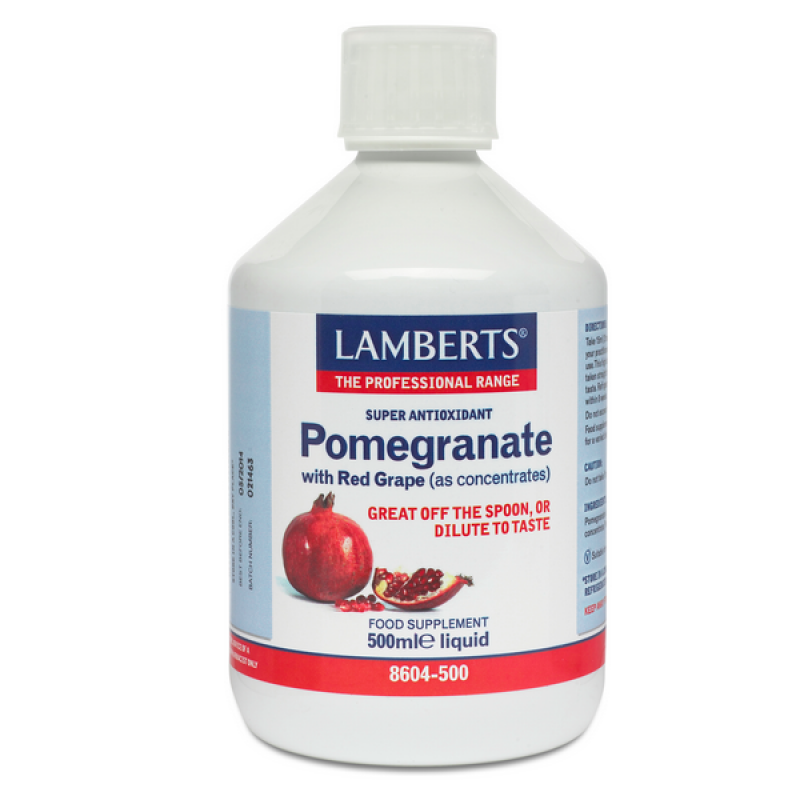 Pomegranate juice contains a wide range of powerful antioxidants including polyphenols and ellagitannins. Indeed Pomegranate exceeds most other conventional fruits in its ORAC (Oxygen Radical Absorbance Capacity), making it one of the richest and most powerful antioxidants available. 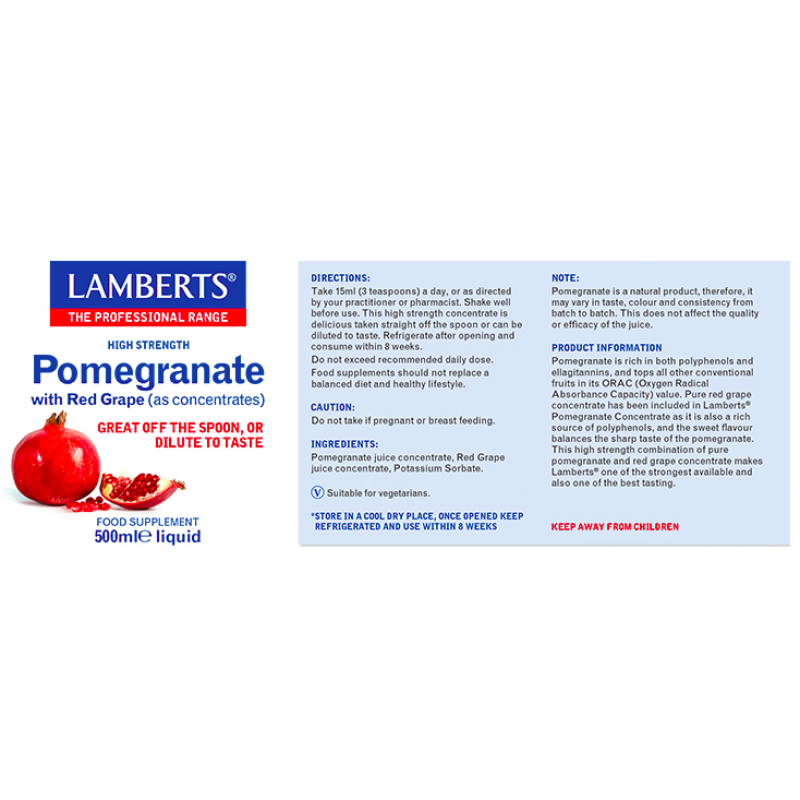 Pure red grape concentrate has been included in Lamberts Pomegranate Concentrate as it is a rich source of polyphenols and the sweet flavour balances the sharp taste of the pomegranate. This high strength combination of pure pomegranate and red grape concentrate makes Lamberts one of the strongest available, making it perfect for those with a high antioxidant requirement who prefer not to take tablets. Plus it tastes delicious.